The combination of the dental operating microscope with ultrasonic tips have provided an excellent view of the operative field. 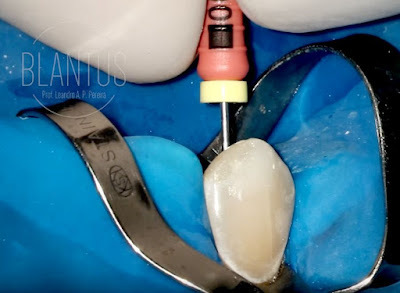 Moreover this combination have changed many concepts in dentistry by the introduction of less invasive treatments allowing the preservation of teeth's sound structures. This is a clinical case of an access to the pulpal chamber of a 2 root maxillary canine of a young patient in the absence of a dental drill. The access opening was made with an ultrasonic tip covered by a very resistant diamond. This diamond is not glued at the metal tip. This diamond was deposited with a process called Chemical Vapour Deposition. Watch the vídeo and check it out in fullHD quality.